We’re upgrading to all-digital service in our cable markets using a process called analog reclamation. Let’s start with the basics– What is analog reclamation? Analog reclamation, in short, is a process where TDS Telecom is able to convert low-efficiency analog video signals to more efficient digital signals, which frees up bandwidth for other video, voice and data services. Most importantly, once analog TV service is shut off, work will begin to make faster Internet speeds available. But one can’t happen without the other, which is why we need your help today. 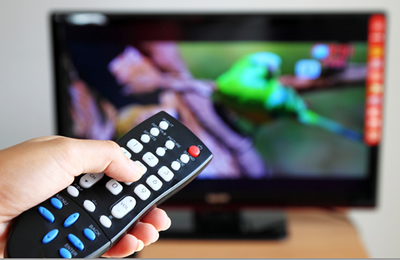 Before analog cable service shuts down, customers need to order a new digital set-top box for each TV in their home to allow adequate time for activation and avoid service interruption. For instance, if you have a TV in a bedroom or basement that doesn’t have a set-top box, you need to get one or you won’t be able to get channels on those televisions. In short, this new digital service requires a digital set-top box for every TV in the home. Call your local TDS office at 1-855-696-8375 to order new boxes and determine what offers are available in your area. Existing set-top boxes don’t need to be replaced, but every television needs a set-top box to avoid service disruption. In some areas, this may have already happened. The good news is, your new all-digital service means improved picture and sound quality and an easy-to-use on-screen programming guide. If you have an HD TV, you’ll get instant access to crystal clear HD programming. Digital TV also provides access to more TV channels, advanced set-top boxes with whole-home DVR functionality, more channels in high definition and TV Everywhere. We thank you, as always, for your loyalty and your patience while we transition to better service. Last chance for Showtime offer! i am getting all the “BASIC DIGITAL” cable channels now. I have one box for one TV.You are telling me that I wont get any channels unless i have a box on every TV.Are you implyng that if I have an “ANALOG” Tv I wont get any channels? even with a new box ? Do I need to buy Digital TV’s? I need a better explanation. I live in Mesquite, NV. I believe part of the switch to the digital package is loss of all music channels. Because of the physical location of Mesquite, FM radio stations have extremely poor reception in the area. Loss of those music channels is a very bad thing for my household. I’m sure others share this sentiment. I hope continued provision of music will be considered. Thanks. There has been no improvement.